Licensed physical therapists are here to deliver the best brand of professional care that will help our clients become more functional in their everyday lives. It’s not at all unusual for patients to experience injuries that result in hindered mobility; disabilities that greatly affect movement; and various other physically limiting conditions that tend to impact their already challenging lives. In light of this, Bethany Home Health has made sure to provide superior rehabilitative services in the form of physical therapy, which helps in the recovery of movement and motion on body parts severely affected by disease or injury. 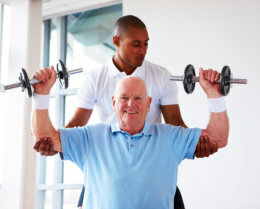 We understand how the complications of medical conditions can greatly affect functionality which is why we have physical therapists who are always ready and willing to help in the rebuilding of strength, coordination, endurance, and flexibility through exercises and techniques that are specifically designed for any disease, injury, or health problem. If you want to gain more insights on the physical therapy service our agency provides or require assistance in getting the said service, don’t hesitate to get in touch with us right away. You may give us a call at 218-435-1044 or send a message to tyler.mcglynn@bethanyinc.com. Our hardworking and brilliant physical therapists are always ready to be of service to you and your family during your time of need!